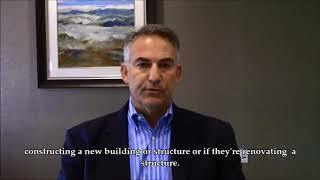 Our public adjusters are highly experienced in builder's risk insurance claims. We guide you through the entire claims recovery process, working to get you the maximum amount for your claim. It may be the largest development project in your company’s history, years in the making. A project that you may have to bet your future on. Then, when a disaster devastates your property and halts construction, the mounting costs from delay can become immeasurable. When your project is under construction, it is vulnerable to a range of natural and man-made disasters that can threaten your investment within moments. How are you covered by a builder’s risk insurance policy? After a disaster, it isn’t just about the hard costs of repairing and rebuilding what was damaged or lost. It’s about the soft costs, too. Because a disaster has delayed your completion date, the additional expenses and potential business income loss you now have to bear can be extraordinary. Rather than leaving it up to your insurance company to decide what can be covered, our public adjusters have the expertise and proven results to evaluate, document, and present a detailed and comprehensive claim of all losses to prove what you are entitled to under your policy. For decades, we have helped handle builder’s risk insurance claims for business owners throughout Michigan, Indiana, Illinois, Minnesota, and the greater Midwest. We work only for you, negotiating and expediting a maximum claim amount so you can recover sooner and get the job done.